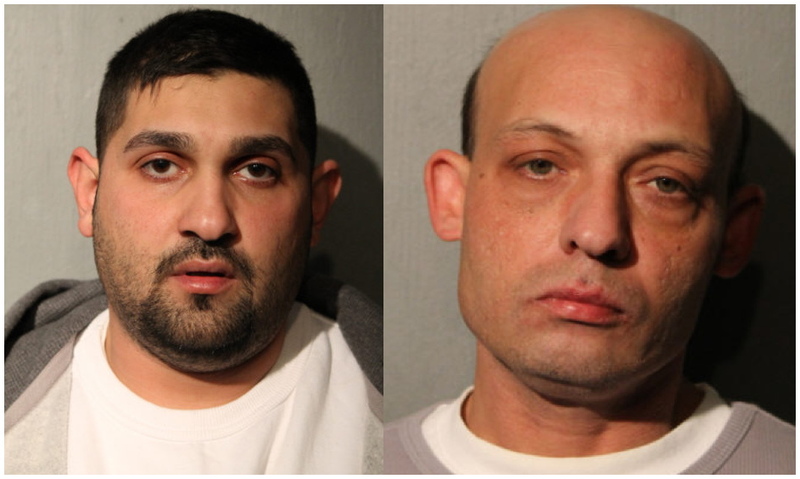 Two more men have been arrested in the Irving Park neighborhood to face charges of burglarizing homes by posing as city workers or contractors. The arrests came just days after a career burglar named Walter Miller was arrested in Irving Park to face identical charges in a different case. Taken into custody last Wednesday in the 3900 block of North Sacramento were 43-year-old Sandy Miller and 29-year-old Andy Bimbo. The Millers are related, according to a police department source. Prosecutors said Sandy Miller and Bimbo created a ruse to access a Bridgeport family’s home on Jan. 12th. Video cameras captured images of the two entering the home minutes before $1,100 cash was taken, police said. Miller is currently on probation for burglary in DuPage County. In addition to the Bridgeport case, Bimbo is accused of using a ruse to enter a different Bridgeport home in December. A safe was taken that time, police said. Bimbo is also currently awaiting trial for a burglary last year in the Armour Square neighborhood. He has been charged with two new counts of felony burglary. Sandy Miller is charged with one count of burglary. Both men were ordered held without bail. While the Millers and Bimbo are charged with crimes that took place on the South Side, a significant number of so-called “ruse burglaries” have been reported in their home neighborhood of Irving Park as well as Lincoln Square, Lakeview, and other North Side areas.